The creator of Tales of Mytherwrel suffers depression. However, instead of letting it consume her, she has learned how to use it and transform the negative energy into something creative. Marie Kerns has created some of the characters based on her emotions. For i.e. 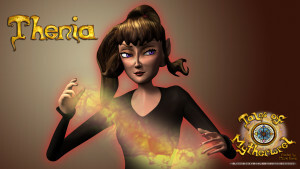 Thenia is referenced from her frustration, and Aujnia is from lack of confidence. Much like the journey of these characters, Marie learned to use her creativity to overcome depression when it strikes and rise above it to never lose sight of her goals. One of her goals is to hopefully inspire young people (girls and boys alike) to find their goals, and to believe in themselves – or at least to not give up, regardless what people would say around them. Tales of Mytherwrel is a story about just that. Believe in one’s self, and don’t lose sight of your goals. Aim high. Regardless how many times you ‘fail’, the lesson is to be stronger. Get up, and keep trying until you succeed. 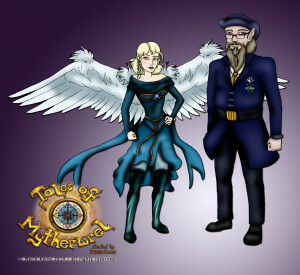 The lead characters in Tales of Mytherwrel are Thenia (Thee-nee-ah) and Aujnia (Ahj-nee-ah). The adventures of these two Elven girls begins when they leave their home to attend the university of sorcery called Gaurdal. own dark purposes, but first they must convince her that she is being betrayed by everyone she knows and can trust only the Cult. A mysterious being, known only as the Mentor, guides her from her home and brings her to Guardal. Aujnia’s home was always filled with powerful magic. Her mother was the former Guardian of Mytherwrel. However during an intense battle, Aujnia’s mother disappeared and is presumed dead. Aujnia’s father is currently a member of the High Council of Magic. He refuses to let Aujnia follow in her mother’s footsteps. As a father, he just wants to protect his baby girl. Aujnia is determined to become the next Guardian of Mytherwrel. Against her father’s wishes, she leaves to attend Guardal. At Guardal, both girls find that they are the targets of teasing from the other students. Thenia is teased the moment she arrives at the school. A mischievous group of Pixies and Fairies taunt her and call her a ‘simple farm girl’. This results in Thenia returning the favor and casts a spell that causes her attackers to fear her instead. Aujnia is teased because of her upbringing. 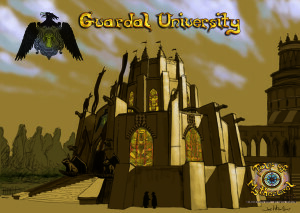 The other students feel threatened because she has a better chance at becoming a Guardian due to her connections with the High Council and that her mother was once the Guardian as well. And, the Guardian Fairies have an interest in Aujnia’s powers as well. 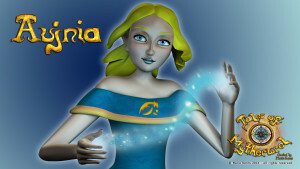 Among their adventures, Thenia and Aujnia meet unique and magical characters including Pixies, Fairies, and Dwarfs, to Dragons, Unicorns, and Mermaids. Mytherwrel is an enchanted world that orbits two suns (a red giant and a yellow star), where the broken moon has created a spectacular ring around the planet. 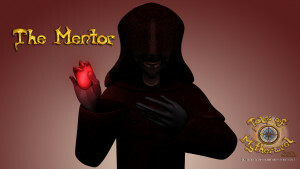 Mytherwrel hosts a number of fantastic creatures both recognized and original in design. 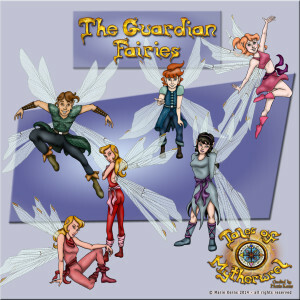 It is a unique and exciting adventure series designed to empower young woman. We invite you to be apart of this adventure. 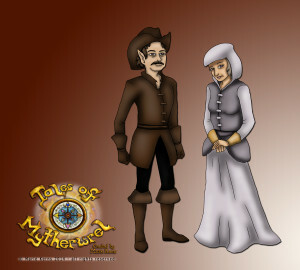 All original artwork for Tales of Mytherwrel are © copyright protected.